NHPC Ltd. | Govt. 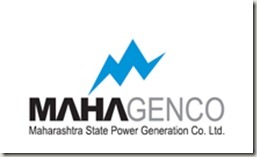 Jobs | Trainee Engineer | Last Date: 11 November, 2013. Posted in Apply online, Civil, Electrical & Power, Electrical and Electronics, Environment, Government Job, Job After Btech, Mechanical, Power Engineering, Production, Thermal, Trainee Engineers on October 17, 2013 by kavita joshi. NIT Karnataka | Govt. Jobs | JRF Recruitment | Last Date: 22 February, 2013. 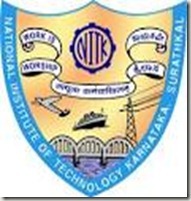 BE/ BTECH (Mechanical)/ ME/ MTECH (Thermal) required in NIT Karnataka. Title of the Project: “Investigation of enhanced pool boiling methods for cooling of micro-electronic devices”. Posted in Apply online, GATE 2013, Government Job, Job After Btech, Jobs after ME/ MTECH, Mechanical, Research Fellowships, Thermal. Tags: 2013., Govt. jobs, JRF recruitment, Last Date: 22 February, NIT Karnataka on February 21, 2013 by kavita joshi. IIT Kharagpur | Govt. Jobs | SRF Recruitment | Last Date: 31st July, 2012. BE/ BTECH (Mechanical)/ ME/ MTECH (Thermal Engineering) required in IIT Kharagpur. Education: BE/ BTECH (Mechanical)/ ME/ MTECH (Thermal Engineering) from a recognized University. Posted in Government Job, Job After Btech, Jobs after ME/ MTECH, Mechanical, Research Fellowships, Thermal, With experience, Without Experience. Tags: 2012, Govt. jobs, IIT Kharagpur, Last Date: 31st July, recruitment, SRF on July 3, 2012 by kavita joshi.